If you're looking for new music to add to your playlist here's one that won't disappoint. You may recall Vito (formerly known as Kevie), who part of 3nity back in the day, with GZE who did the song Jesa (stream-able below). 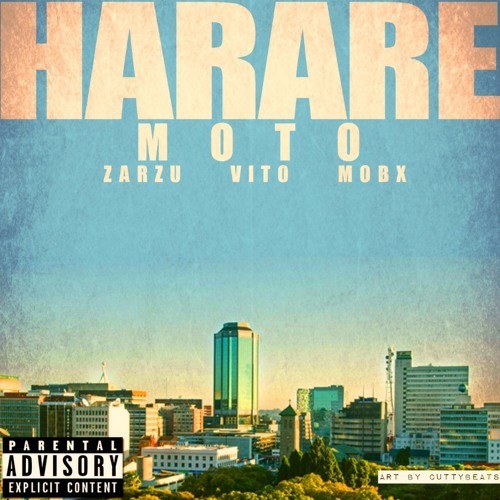 Harare Moto is a track Zarzu did with MobX and Vito, recorded at Mob Ent. and is produced by Zarzu and MobX. This is the result of them wanting to create an anthem track that represents where they are from. Tawanda Zarzu Tichareva is an all-rounded artist, a songwriter and a rapper passionate about elevating the Zimbabwean arts scene to an international level. His vision is to uplift upcoming artists, existing artists and to highlight historical acts that have had an impact on modern-day art along the way.